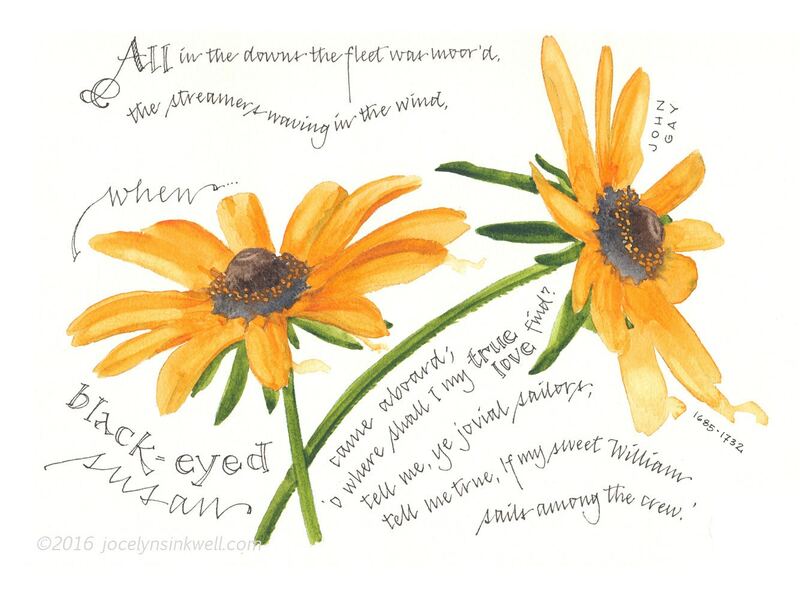 Excerpt from the 18th century poem Black-Eyed Susan by John Gay, with painted flowers (the Maryland state flower.) Notice too, the mention of another flower named from the same poem, Sweet William. 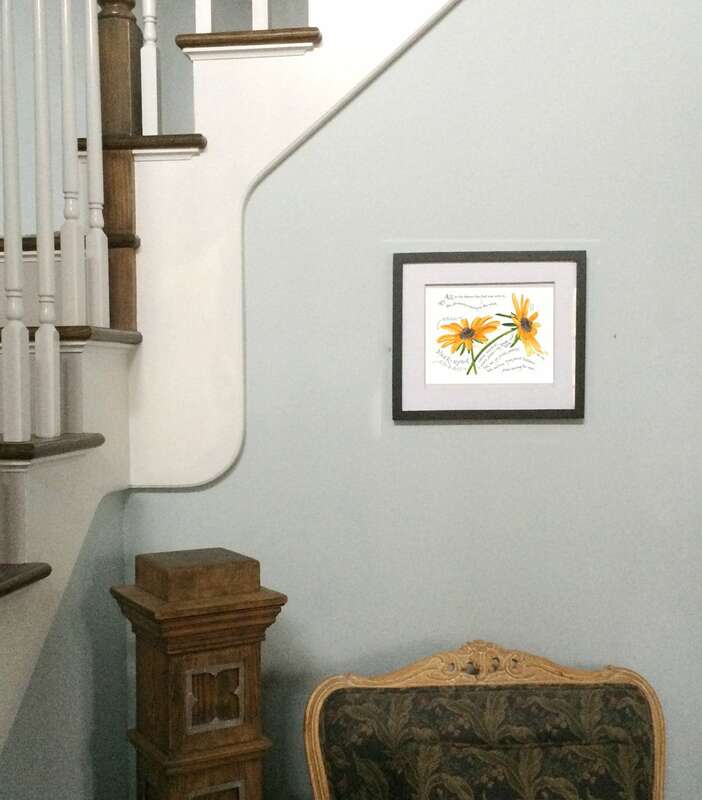 Limited edition print series of 50, signed and numbered by Jocelyn Boblink on heavy off-white Somerset Velvet acid-free textured print paper, is printed in lightfast digital ink with plenty of paper margin. Watermarks will not appear on your print. Ready for the matting and frame of your choice. We'll ship it flat in a plastic sleeve and cardboard mailer for best protection.